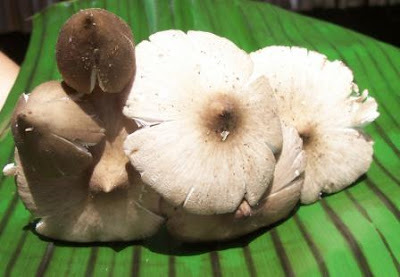 Mariano Raceles, a farmer in Bicol, always had a fascination with mushrooms. Back in 2013, he was motivated to give his outdoor mushroom plantation an upgrade. Fast forward to 2016, the joint efforts of Raceles and the Department of Agriculture – Regional Field Office in Bicol through Pedro Oliver, regional focal person for mushroom, have led to the establishment of a community-based organization of mushroom growers – the Bicol Entrepreneurs’ Association for Mushroom or BEAM. With beneficiaries in Naga City, Camarines Sur, Sorsogon, Catanduanes, Masbate, and Albay, “Bicol’s Community-Based Mushroom Project” aims to provide local farmers with an additional source of income and livelihood. “The project is made up of two components: on-station and community-based enterprise development,” Oliver said. It was during the on-station stage that the DA developed the technology to make pure culture, spawn bags, and fruit bags. It also included the production of information, education, and communication materials through the Regional Agriculture and Fisheries Information Section; value-adding of mushroom by-products conducted by the DA-RFO 5 Food Laboratory; as well as the training of the project’s beneficiaries. The community-based enterprise development, on the other hand, focused on getting interested farmers to understand the business potential of mushroom production and helping them reach a wider market in the province. “The mushroom is an organism under the group of fungi. Here in Bicol, we focused on propagating edible mushrooms. 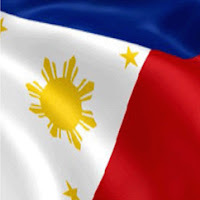 The mushroom species that growers in Bicol prefer are oyster mushrooms, while others have also been showing interest in propagating Ganoderma species which is the kind commonly used for pharmaceutical purposes,” he added. During trainings, beneficiaries are taught the basic tools and steps needed to start mushroom production. Mushrooms are grown out of fruiting bags. These bags must be filled with substrates (growth media) that are usually made up of one kilo of recycled agricultural waste such as saw dust or rice straw, or a combination of both mixed with agricultural lime. After the bags had been prepared and sealed, they undergo thorough pasteurization in steel drums heated overnight in order to eliminate any contaminants. The fruiting bags are unsealed so that growers can place the mushroom spawn onto the substrate. The fruiting bags are once again sealed and stored together in a fruiting house. In two to four months, each fruiting bag will have already produced 30 percent of the weight of the mushroom fruit bags. For Raceles, his fruiting houses made out of indigenous materials are home to over 5,000 fruiting bags which can produce approximately 150 kilos of mushrooms within the entire production cycle. Harvested oyster mushrooms were then developed into delicious by-products. The DA has already concocted various mushroom dishes that include mushroom ice cream, mushroom soup with chili, pickled mushroom, ketchup, dried mushroom, prunes, and mushroom sisig. After the production cycle, the substrates that remain in the fruiting bags can be used in vermicomposting. Farmers can then sell the vermicompost for P10 a kilo. What started as just a handful of mushroom growers has now grown into the BEAM organization. Ever since its establishment last year, both Oliver and Raceles have taken on active roles in the organization, and today BEAM is registered with the Securities and Exchange Commission. BEAM’s goal is to be able to produce 100-200 kilos of mushroom daily for interested buyers. Currently, a kilo of harvested oyster mushrooms is sold at P150 to P195. The project has trained 2,093 clients on mushroom production. Participants to these trainings come from different walks of life: farmers, military, students, religious groups, as well as indigenous people. The research also got special recognition in the 2015 and 2016 in-house R&D reviews of the DA. Aside from gaining recognition in trade fairs, Bicol mushroom production has also been featured by two national TV networks.